This venue has us swooning. This article originally appeared on Parents.com. If you’ve ever visited Disney’s Animal Kingdom, chances are you took a snap of your squad in front of the Tree of Life, a 145-foot sculpture of a baobab tree with carvings of animals on its trunk. At night, rainbow-like projections make it appear as if some of the animals come to life. This magical setting will be one of the three new wedding venues at Walt Disney World in Orlando. Lush greenery and exotic flowers surround the space already so that’s one less thing that brides-to-be have to worry about! 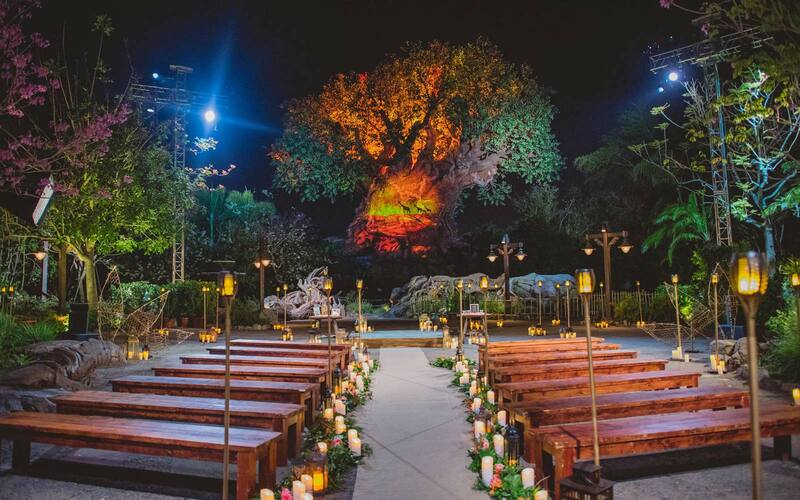 The lucky couple in the photographs scored the first Tree of Life wedding as part of “Disney’s Fairytale Weddings,” a six-episode series featuring 11 couples, on Freeform. But we’re still swooning over the Tree of Life. So if you’re planning on tying the knot or renewing your vowels, you’ve got your dream destination. And if your friends or family are getting hitched, share this sweet spot with them! It would be amazing just to be the guest.